After signing to Merge/Royal Mountain at the start of this month, Ought have now lifted the curtain on their first effort for their new label home. 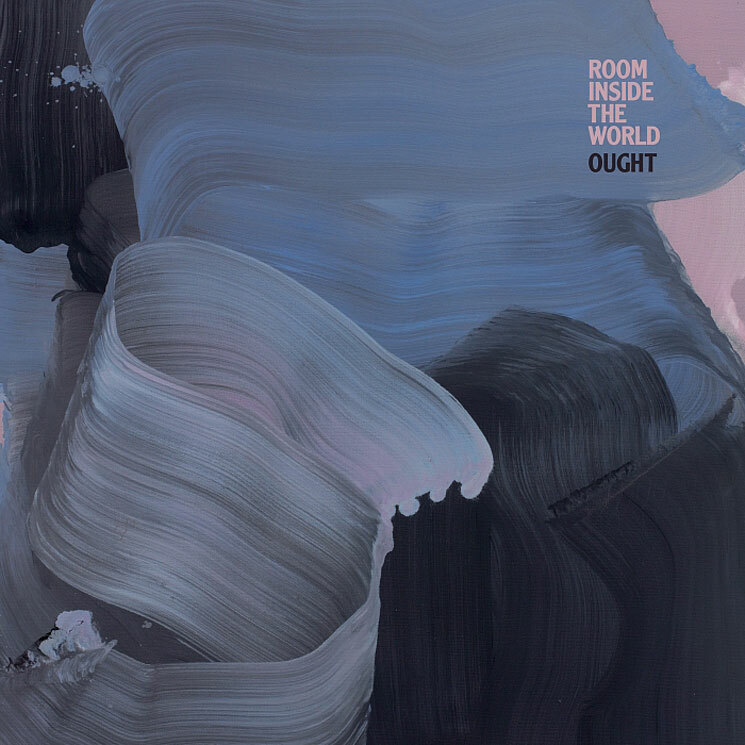 Titled Room Inside the World, the band's third album will arrive February 16. Recorded with producer Nicolas Vernhes (Deerhunter, Animal Collective, Silver Jews), the nine-track effort is said to explore "themes that have always concerned the band — identity, connection, survival in a precarious world — but with a bolder, more nuanced sound palette." Life can be problematic. Everything takes time and energy. We challenged ourselves to create devices of great convenience using three items. When initially testing the convenience machines without the human variable, we discovered luxury and success. However, it was sterile. The beauty only came with the unpredictable moments brought by the human element. Being human is better than looking for an easy way out. On top of all this, Ought have also mapped out a lengthy tour in support of the disc, and you can find the dates below. After spending November in the United States, the band will kick off a spring leg of dates in Montreal next March and hit up a string of Canadian cities.